Elizabethtown, KY. (February 5, 2019)– Kentucky State Police Post 4 welcomes a new trooper. 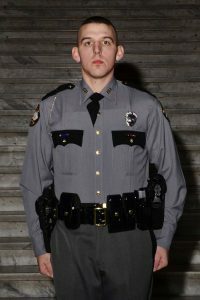 Trooper Casey Keown of Caneyville, KY was among the 35 troopers who graduated February 1, 2019 from the KSP Academy in Frankfort. Trooper Keown will be supervised for eight weeks by a field training officer before working his assigned area. Upon the completion of his field training, Trooper Keown will be assigned to the KSP Post 4 Hardin County squad. 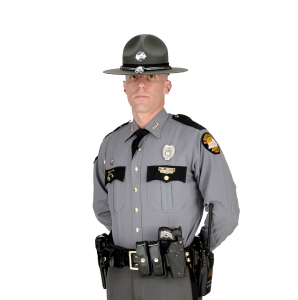 KSP is now accepting applications for a Law Enforcement Accelerated Program (LEAP) cadet class. For more information, visit the Kentucky State Police Recruitment website at http://kentuckystatepolice.org/recruitment/ . Applicants may also call the Recruitment office toll-free at 1-866-360-3165 during office hours from 8 a.m. to 4:30 p.m. (ET) Monday through Friday or leave a message any other time.